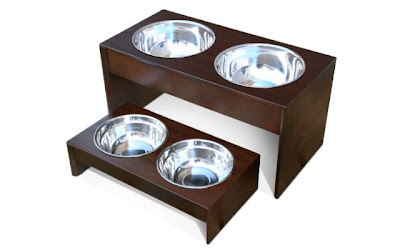 Up to 50% off the PetFusion Elevated Pet Bowl Holder + Free Shipping! The Short PetFusion Elevated Pet Bowl Holder in Natural Pine is currently selling for just $29.75 on Amazon.com! You will be saving 50% off the listed price of $59.95 with this pet supply deal. Also available in the Tall size for $49.45. Read the outstanding customer reviews for this product!